This 5-day retreat will guide you into deep relaxation, rest and rejuvenation through rhythm voice and the body. 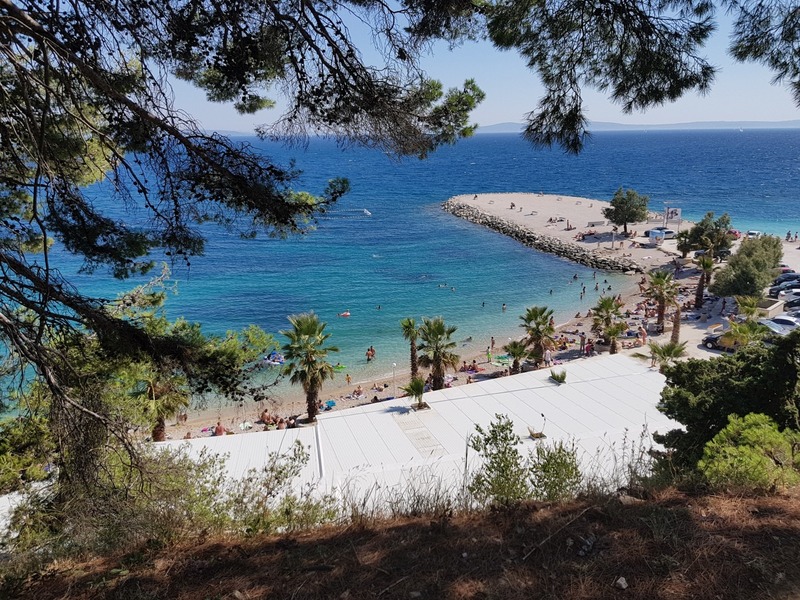 Located at The Mediterranean Institute for Life Sciences MedILS, you will be further transported by the stunning water views and surrounding gardens all within walking distance to the Old City of Split, and the UNESCO protected Marjan Park. Sunday 14th to Friday 19th July 2019. Commencing the evening of 14th after dinner, and concluding after lunch on Friday the 19th. BOOK BY March 28th 2019 FOR THE EXCLUSIVE EARLY RATE. 995 euro early rate includes shared accommodation, 3 meals a day, and 5-day workshop. 1420 euro early rate single room, includes accommodation, 3 meals a day, and 5-day workshop. 490 euro early rate offsite rate includes 5-day workshop only. Please note there are only 4 single rooms available. All shared rooms are 2 people to a room. 1095 euro shared room includes accommodation, 3 meals a day, and 5-day workshop. 1520 euro single room includes accommodation, 3 meals a day, and 5-day workshop. 530 euro early rate offsite rate includes 5-day workshop only. Contact info@bosak.com.au for booking and payment forms. After more than 35 years working in the field of rhythm, movement, voice, therapy, performance and music training, and more than 20 years in the field as TaKeTiNa teachers and teacher trainers, Astrid and Tania combine their skills to offer a unique 5-day experiential retreat for mind body and spirit. Underpinned by the TaKeTiNa process the 5-day workshop includes frame drum meditations, and morning body, and voice work. Tania has worked as a musician, actor and rhythm and performance teaching specialist for more than 30 years. She studied contemporary dance performing arts and Education in Australia, has an Ericksonian Diploma in counseling and hypnosis, and completes her Master training as a TaKeTiNa-Rhythm-Teacher in March 2018. In 2003 Tania was awarded a Churchill Fellowship for studies in Korean drum and dance. In 2004 she founded “Pulse Rhythm”, an organisation, which produces collaborations and specialised training events involving rhythm, movement, drumming and meditation practices. Tania is currently preparing specialised pulse rhythm training courses to take place in Melbourne and Brussels in 2018/2019. Between Australia and Europe, she continues to co-lead drumming and percussion trainings and TaKeTiNa Teacher training courses with the TaKeTiNa founder Reinhard Flatischler. Senior-TaKeTiNa-Rhythm-Teacher currently undergoing her Master Training. In an increasingly accelerating world, life balance is one of the biggest questions of our time. This retreat will bring into focus what it means to be in balance and at the same time provide a space for deep relaxation, rest and rejuvenation. 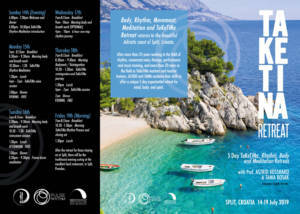 We look forward to offering this retreat for the first time set in the stunning region of the Croatian Adriatic coast with nearby beaches and within walking distance to the beautiful UNESCO protected Marjan National Park.In einer zunehmend schneller werdenden Welt ist life balance ein zentrales Thema und eine Herausforderung im alltäglichen Leben. A retreat for mind, body, and spirit through rhythm! 4.00pm – 10 pm 6 hours non-stop rhythm journey.